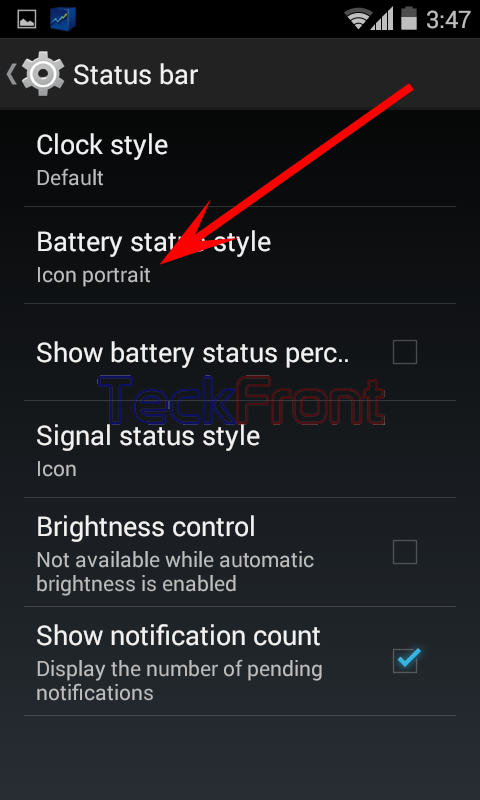 How to Display Battery Status on Status Bar of Android 4.4.4 KitKat Phone? 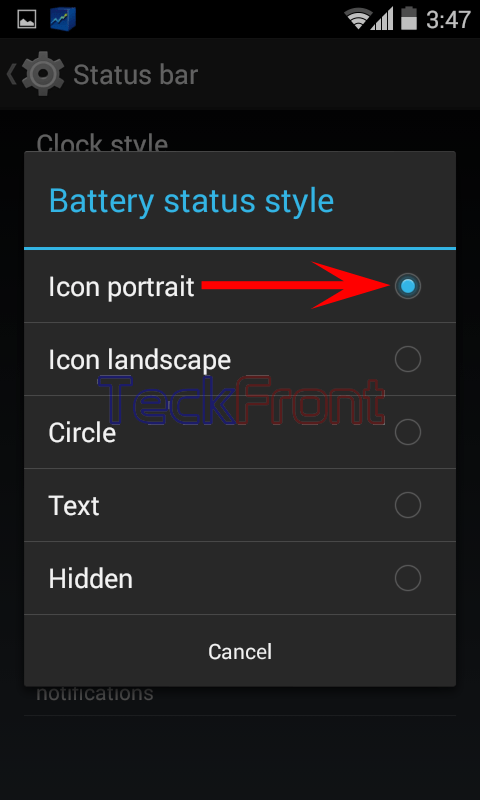 To keep an eye on the consumption of battery of Android 4.4.4 KitKat phone, it is better to display battery status on status bar of the screen of the phone so that its consumptions and usage can be managed easily. You may set the battery status to ‘Hidden’ or displayed. It is easy to manage the display of the status. Just follow the instructions. Command Line: Settings > Status bar – PERSONALIZATION > Battery status style. 1: Follow the Command Line to open up the ‘Status bar’ screen. 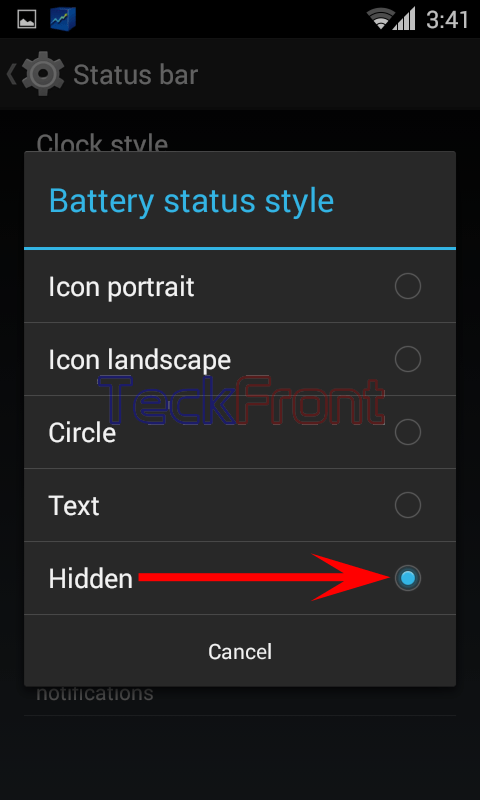 2: See the status of ‘Battery status style’ which is ‘Hidden’. 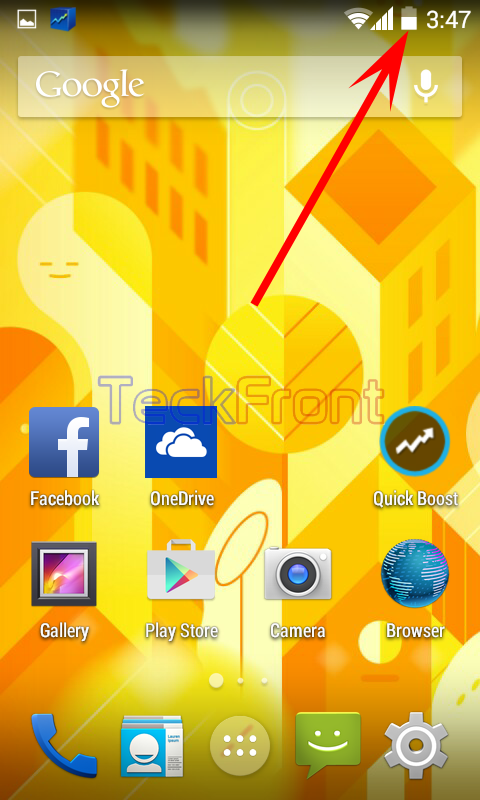 See also the battery status is not displayed at the status bar on the top right corner of the Android phone screen. 3: Tap the ‘Battery status style’ to set / change it. It will open up a prompt named; ‘Battery status style’. 4: See the ‘Hidden’ status is selected and enabled as the radio button is selected. 5: Select and tap any of the 4 other statuses, such as, Icon portrait, Icon landscape, Circle & Text. I selected the first one, i.e. Icon portrait. It will take you, instantly, back to the ‘Status bar’ screen where the ‘Battery status style’ is changed to ‘Icon portrait’. 6: At the same time, see the battery status is now displayed on the status bar of the Android phone at the top right corner of the screen. Newer How to Switch ON Wi-Fi App by 4 Different Ways in Android 4.4.4 KitKat Phones?